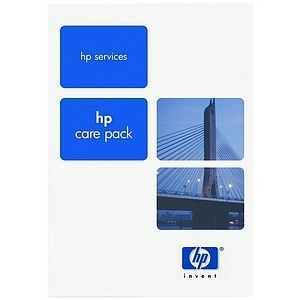 This value-priced HP Care Pack offering provides high-quality door-to-door hardware service. It includes telephone support; pick-up of your failed HP branded hardware unit; repair or replacement at an HP-designated repair center; and return of the operational unit to you. For issues that cannot be resolved remotely, an HP-authorized representative at an HP-designated repair center provides technical support on the failed hardware product, repairing or replacing components or the entire unit as necessary. Your coverage includes all required parts and materials.